This time round I want to mention a great gig coming up at the Chook Shop in Ocean Grove – Hey Gringo are coming down. First up though, have you got your Festival tickets? Queenscliff sales are well and truly underway (you might even be cutting things fine there! ), Bendigo Blues and Roots is early November, as is the Wangaratta Jazz & Blues Festival. There’s also the Maldon Folk Festival which has sessions tied in with the local Blues Club. Port Fairy Folk Festival is also sending out their details, so get looking at that. Don’t forget to sort out your accommodation on those out of town festivals. It’s getting tight in some places. At the Wangaratta festival, people are now booking accommodation as far out as Milawa and Glenrowan. You can also be a little strategic in planning your trip. For example Bendigo Blues and Roots is the weekend following Wangaratta – make a trip of it. Geelong’s own Bluestone Blues Festival, held over New Year’s Eve and New Year’s Day (aka Recovery Day), also has tickets on sale. This year’s lineup is exceptional and features both of the local groups who are off to the International Blues Challenge at Memphis – Rhythm X Revival and the McNaMarr Project. Google @BluestoneBluesFest for details. Don’t leave that too late! Anyhow, back to Hey Gringo. The band was formed in the early 90s by singer, songwriter Daryl Roberts, who has played with Spectrum, American blues legend Jimmy Witherspoon and Blackfeather. The band has been a fluid lineup of renowned musicians and Australian Music legends on stage and in the studio including the likes of Nicky Bomba (John Butler Trio / Bomba / Melb Ska Orchestra), Ross Wilson (Daddy Cool / Mondo Rock), Ross Hannaford (Daddy Cool), Spectrum, Broderick Smith (Dingoes / Carson), Kevin Borich, Neale Johns (Blackfeather) among others. Other members of the band over the years have included: Paul Gadsby, Ivan Frost, Brian Strafford, Aaron Searle, Peter Etheridge, Sean Vagg, Peter Robertson, Brendan Mason, Wayne Burt, Shane, DiOrio, Dean Haitani, Mick Elliott, Les Oldman, Laurie Bongalais, Lil Fi, Iain Mclennan, Steve Hoy and many more. Hey Gringo takes you on a journey to all corner the roots music world with smokin’ organ, scorching sax, haunting harmonica, boogie piano, tasteful guitar on a layer of irresistible rhythm and blues. They will be performing songs from their seventh album “Not The Same Planet” which hit number two on the Blues & Roots Charts album, and assorted favourites. 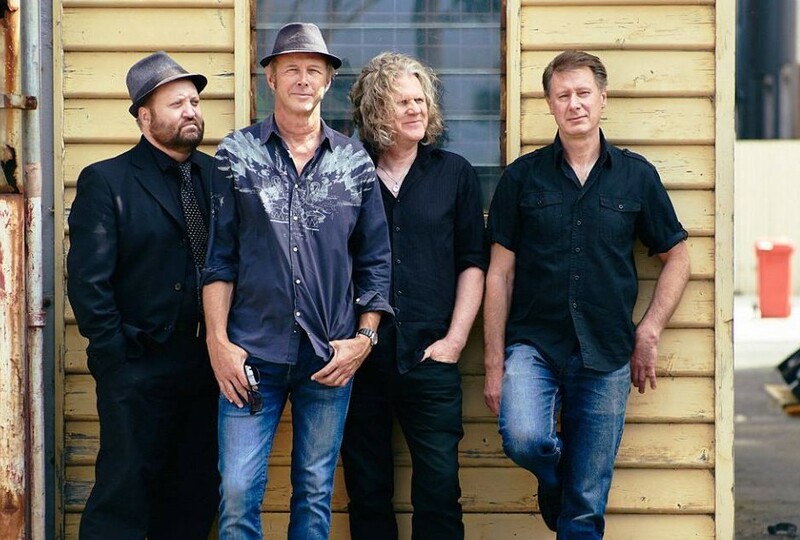 The album was described as “one of the best albums of the year” by Barry Maxwell (Blues Music Victoria, Hume Blues Club, Blues on The Hill 3NRGFM). Since 1993 Hey Gringo have been regulars at major festivals across Oz, have performed internationally and have received airplay worldwide. Al Hensley from Rhythms Magazine described them as having “Smokin’ rhythm and blues and seriously funky grooves”. So here’s a good excuse to head out to Ocean Grove on the 10th and get some good music from Hey Gringo at the Piping Hot Chicken & Burger Grill.